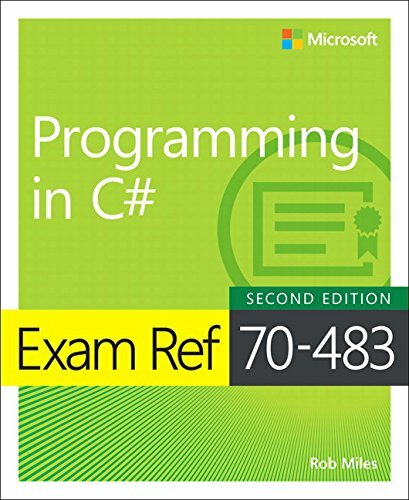 C# Exam Guide has Gone to Print. Yay! After a lot of writing, and even some last minute editing during my holidays, my latest book has now gone to the printers. Ada's is one of my favourite places on the planet. Lots of interesting stuff, great food and a fantastic atmosphere. We had tea there today. They even have a copy of my book in stock. Awesome. Last year I wrote a book about Python. This year I'm doing another about C#. It's an exam text for the 70-483 Programming in C# Microsoft Certified Professional exam. The Amazon site says, rather optimistically, that the book will be in the shops at the end of April this year. I'm fairly sure that it will be a little bit later than that. But it will be well worth waiting for. If you're looking for a book about the Arduino that is stunning value for money, just head out to your local newsagents and track down a copy of the latest Teach In from Everyday and Practical Electronics (or EPE). It provides an excellent introduction to the Arduino device and then, as a bonus, adds a bunch of chapters about PIC development and some other good stuff. Like all of the EPE publications, this is well written, technically accurate and laid out in an easy to read manner. And you even get a CD-ROM with lots of useful stuff on it too. Full Disclosure: Many years ago I helped Ian and Tony to write a Teach-In for the magazine. It's nice to see that Ian is still writing for them, there's a lovely piece from him about state machines in the back of this very publication. A must-buy in my opinion. Hot on the heels of the Korean translation, I've just heard from Dimitar Minchev that he's completed the translation of the book into Bulgarian. You can find the text here. Thanks so much to Dimitar for his awesome effort. I love, love, love this cover. It's far better than anything I've come up with. It's for the Korean version of my C# Yellow Book. It's been out for a while, but today was the first time I managed to find it on the internets. You can get it from here. I'd love to have a copy, I'm going to see if someone can send me one. I first came across Andrew "bunnie" Huang when I had a Chumby. I used to read the Chumby blog and he made some excellent posts about the ins and outs of dodgy SD cards. He's got a fantastic perspective on the business of making stuff, with special emphasis on how things get done in China. He's written a book all about this, which I'm really keen to get a copy of. You can get a taste of the content on the book site, which seems to have a different chapter from the book each day. I've read a couple and really enjoyed them. If you have any kind of interest in how things are made, or if you have ever fancied having something made in Shenzen you should have a read of this book. 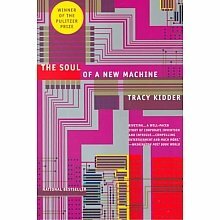 One reason why I liked Ada's so much is that they had a computer book club and their next meeting was going to discuss "The Soul of a New Machine" by Tracy Kidder. It is one of my all time favourite books. It's supposed to be about building a computer, but really its about people. It's about management, ego and human interaction. Along with a good dollop of how computers work. It was written a while back, but still holds lessons for anyone who wants to get thing done. I lent my printed copy to someone (no idea who) a while back and I didn't fancy buying another paper copy. What I wanted was a Kindle version I can carry around on my phone. And now I've got one. Amazon have just released the electronic version. If you are in any way serious about computers or management you should read this book. Oh, and it also holds some lessons about how to write a compelling story. A fantastic read. 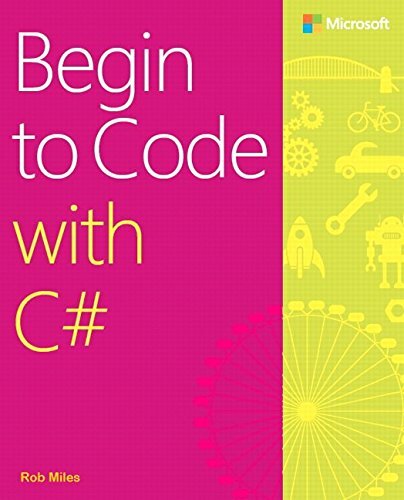 We've been working feverishly on the chapters for Begin to Code with C# over the last few weeks. It's been going well, and it's lovely to see the actual book itself take shape. Oooh. Get your orders in now. The C# Yellow Book is going worldwide, which is wonderful. I've just agreed to the publication of a Korean version. I got an email a while back from an agent and we a presently drawing up the contracts to get it translated and into the shops. I've only been to Korea once, I spent a week or so in Seoul as part of the 2007 Imagine Cup World Finals. It is a wonderful place. I'd go back there in a heartbeat. I really hope I can get hold of a printed copy when it is ready. I'd love to be able to point at it on the bookshelf and say "I wrote that....". This is a completely brilliant book. The illustrations are fantastic and the research that backs up the content is exemplary. The book starts with the tragic and true story of Ada, Countess of Lovelace and her involvement with Charles Babbage, a 19th century inventor obsessed with the idea of using machines to perform mathematical calculations. Ada has a background story that you really couldn't make up and the tale of how a poet's daughter became the first person on the planet to really think about what a computer could do is a compelling one. Once the facts have been dealt with the action moves on into a parallel "Pocket Universe" where Lovelace and Babbage have built their huge steam-powered "Difference Engine" and are using it to solve mysteries and fight crime. There are even jokes about cheese. The narrative is littered with historical quotes and insights into maths and computing theory and gives a great introduction to what computers are about and where they came from. At the back you find get a series of appendices that supply plenty of historical context and by the end you really feel for the characters, in both their real and imagined forms. Everyone should buy this book. It's just wonderful. This is a fantastic book. It offers over 500 hand drawn vignettes rendered in a brilliant steampunk style and offering puns, whimsy, wit and of course tragedy. You can see the drawings for free on Tumblr but I really wanted a book of them. Which is nice because one has just been published. Great gift, especially if you buy it for yourself. Yesterday I got an email from Amazon telling me that readers had spotted some spelling errors in the Kindle edition of the C# Programming Yellow book. They are quite right. The errors crept in when I used the Amazon system to convert the word file into an eBook. They've been bugging me for a while. Anyhoo, I've decided to fix these pesky errors once and for all. I'm doing a new conversion of the text, moving it by hand from Word to HTML, and thence to Kindle. Lots of things about the layout of the first version of the book didn't translate well into eBook format, hopefully the updated version of the text will be easier to read. It should be out in a week or so, once I've reformatted the text and tidied it up. There's also some shiny new content that I've added to bring things up to date. I'm going to spend some time on the text over Christmas and bring out an updated version in the new year. Some of the text and program samples got a bit mangled in the transfer to the Kindle format and I want to make it a bit tidier. But I'll be leaving the good jokes in there. Both of them. I've been practicing being a husband for over thirty years. I think I'm reasonable at it, although apparently I'm not the one to judge this. I must admit I regard Tim Dowling as something of a newcomer to the field, with only twenty or so years under his belt. However, he has written a very funny book about the art of husbandry (if that's what you call it). There are some genuine insights, a lot of laugh out loud moments and a few poignant parts as well. If you have enjoyed reading his column in the weekend Guardian over the years then you will know what you are getting and like it all the more. If you've not read his work before I'd say you were in for a treat. He is that most rare of species, a self deprecating American, and very, very good at it. Although of course I'm sure he would beg to differ. You can find his book here.